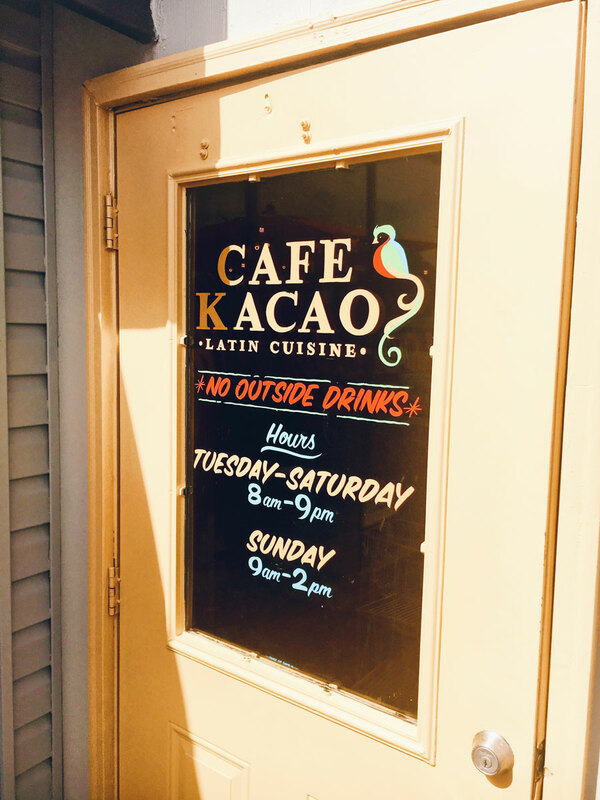 Cafe Kacao is a Latin restaurant serving up fresh and authentic Latin dishes. I typically always prefer homemade Latin food, but Cafe Kacao really does it up right. You can taste the authenticity in every bite! Their pancakes are really where it's at, though. They're not exactly Latin, per-se, but they are G-O-O-D and very unique. Each order comes with two gigantic pancakes literally smothered in cream and drizzle. The Nutella Pancake (topped with bananas) is my favorite! The food is good, yes, but in my opinion the best part of Cafe Kacao is their coffee! 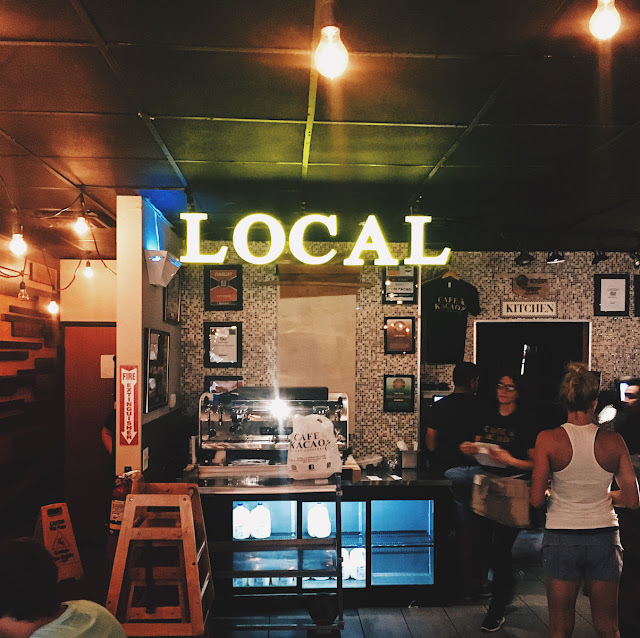 I'd say it's the best coffee in all of Oklahoma City, no contest. And I'm kind of a coffee snob, so that's saying a lot! 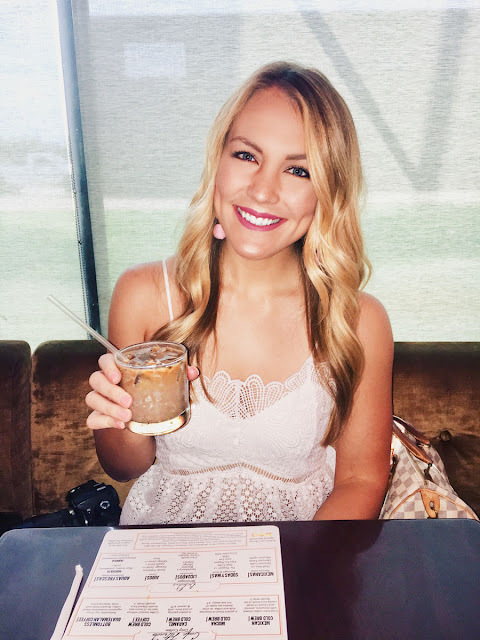 Their flavored lattes are to-die-for (shout out to the Horchata latte) and they always have exciting specials to try - this time it was a Cocoa Pebbles Iced Latte, ummm, YES. Our house is only a few blocks away, so when we were renovating last winter, we'd stop and get some hot coffee every weekend before working on the house. It's safe to say that their coffee helped me survive the renovation process. If you want to avoid the line, try downloading the No Wait app and checking in remotely! Since we live so close, we can wait from the comfort of our couch. It makes brunching so much easier and more enjoyable. 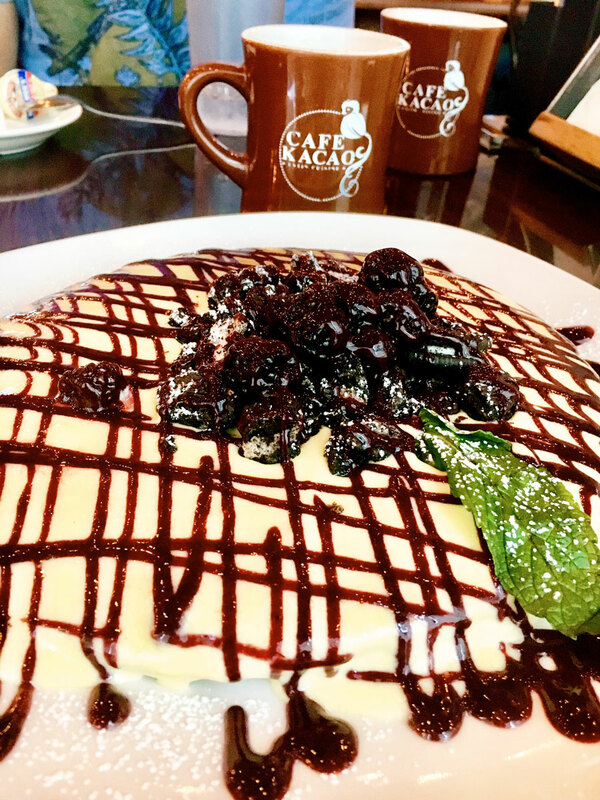 Have you been to Cafe Kacao? If so, what do you like to order? 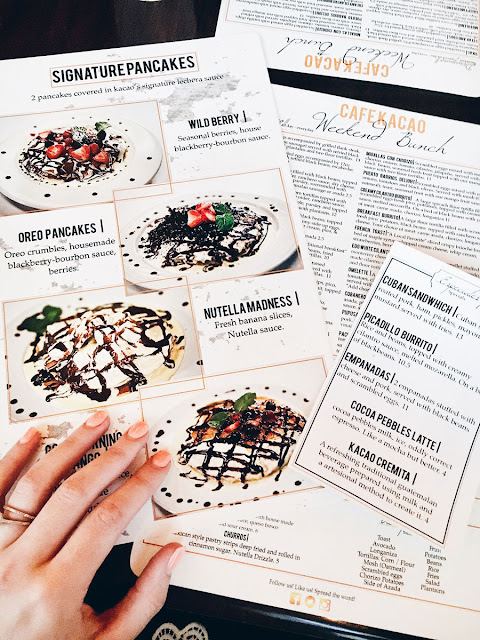 If you're not into pancakes, the Pupusas are pretty tasty, too! Now, for the weekend!!! What do you have going on? We will be busy getting things prepped for a two-week vacation (!!!). Buying travel sized goodies, stocking our carry-ons and picking out some good reads. All exciting things! 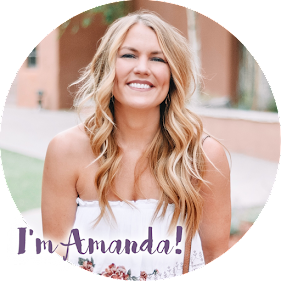 I can't wait to share our trip with you, eeeeek! One week to gooooooo. 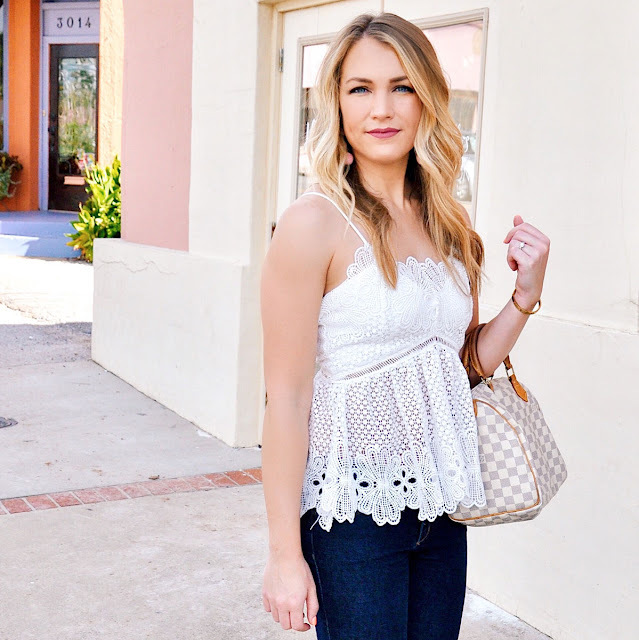 Outfit Details: Lace Peplum Tank c/o Tobi | Skinny Jeans - my favorites EVER, on sale for $35, size down | Similar Wedge Booties | Similar Earrings | Lip Stain in the color "Patina"
What a beautiful look! I have wanted to try Cafe Kakao for a while. Oh my goodness, I love a good latte! I must go here!